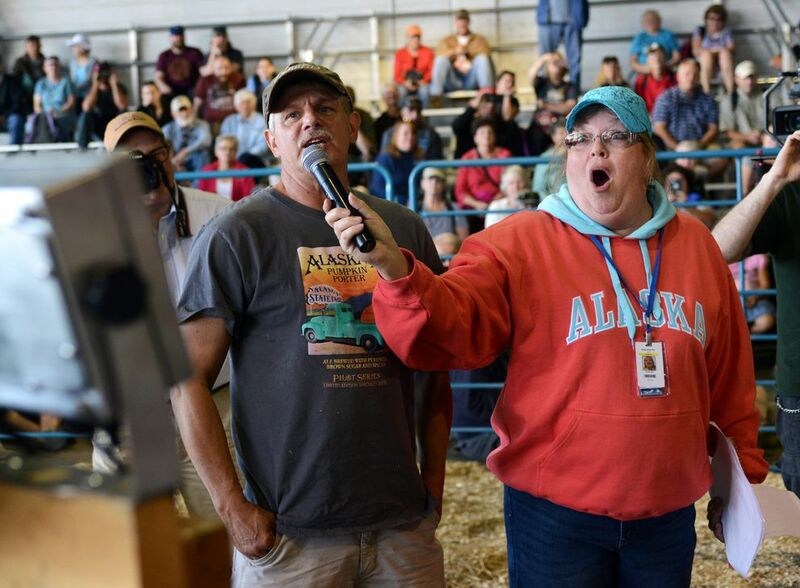 After five years of chasing the Alaska State Fair giant pumpkin record, Anchorage's Dale Marshall finally won the heavyweight title once again. 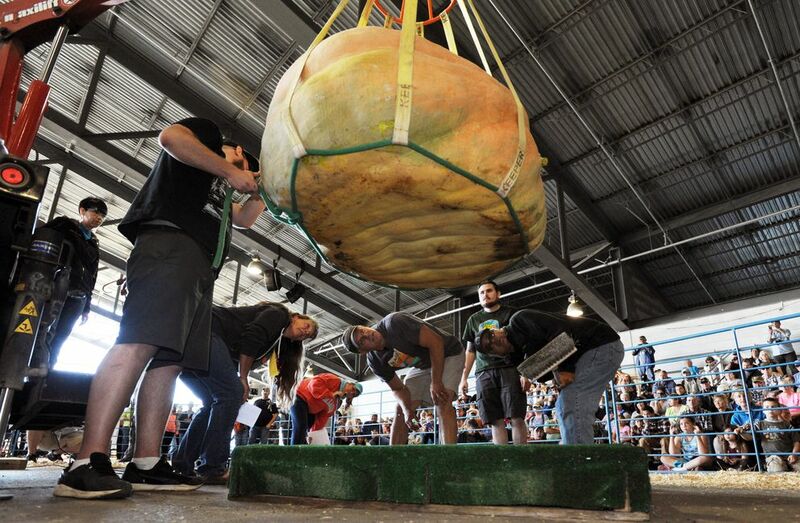 At the 11th annual state fair pumpkin weigh-off Tuesday, Marshall's 1,469-pound gourd beat the previous record of 1,287 pounds set in 2011 by J. D. Megchelsen of Nikiski. It was a comeback of sorts for Marshall, who held the record in 2010. Marshall said warm weather and good seed selection led him to victory this year. 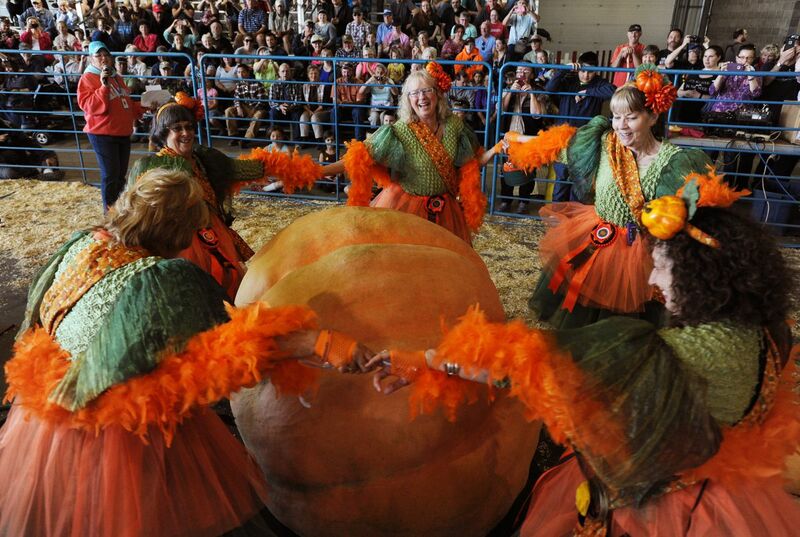 Grown in a greenhouse at his Sand Lake home, the champion pumpkin weighs roughly as much as a large bull moose. "(I did) pretty much what I do every year," he said. "And it panned out." 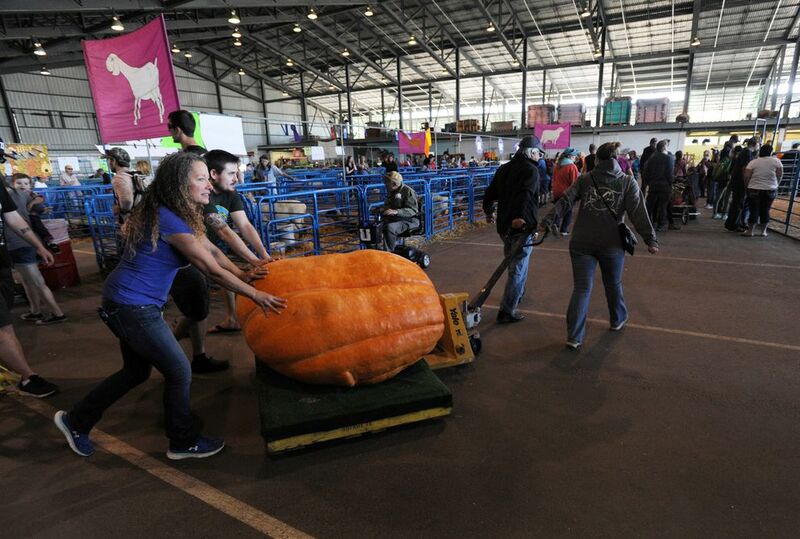 Marshall was also the lone entry in the 2015 competition, but was unable to compete when the crane hoisting his pumpkin broke during delivery to the fair, smashing the giant gourd into pieces. Marshall said it was a relief to hold the record again. 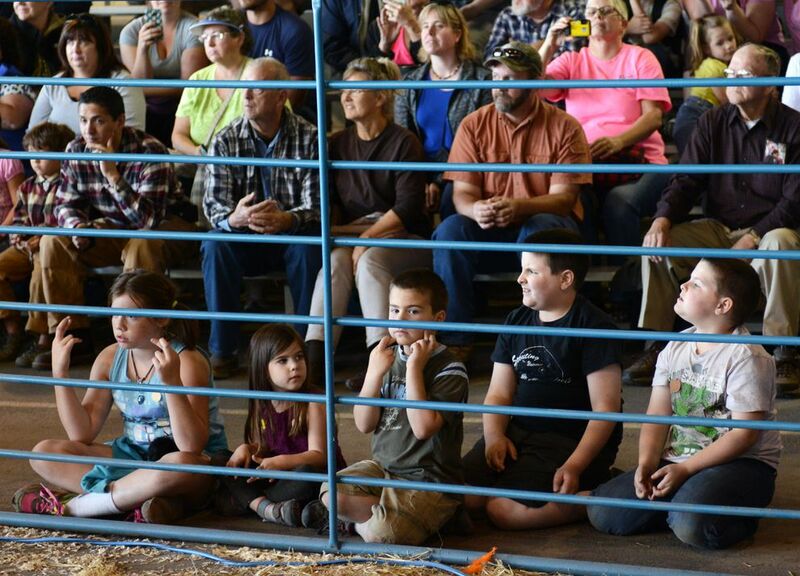 In previous years he's named the pumpkin prior to the weigh-off, but not this year. "Right now we're just calling it the winner," he said.